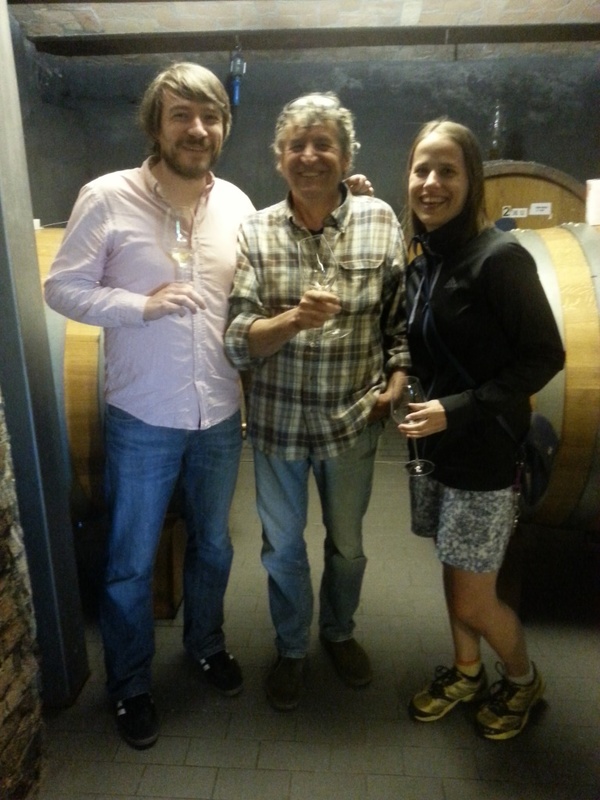 Last Friday, we had the third of our group of friends’ wine tastings. The previous tastings were themed around old world and new world Malbecs and European reds (which we conducted blindly). Not only did this time’s hosts decide to cook us a spectacular meal, they also picked a really cool theme for the night: “Strange Fruit”. They had initially thought about restricting the allowed wines to unknown grape varieties or regions, but later settled for strange fruit, which proved to be an awesome theme. 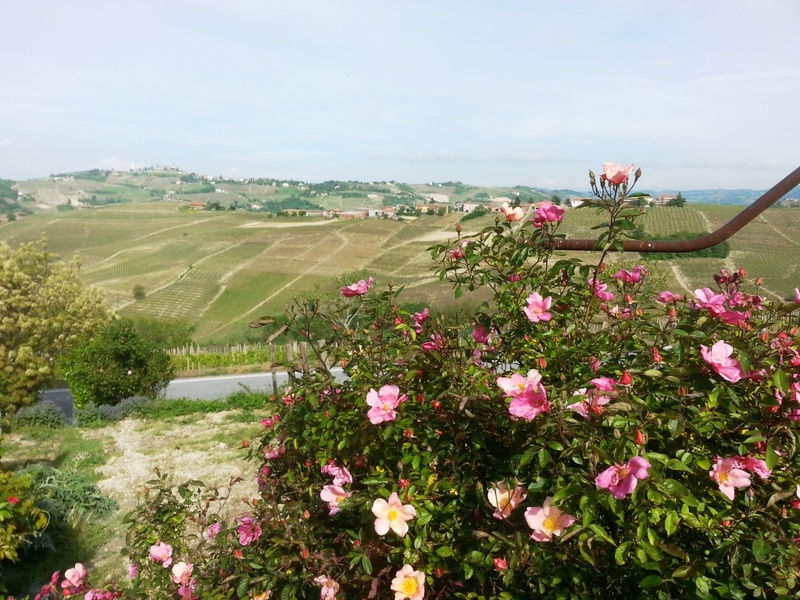 My initial thoughts for what wines to bring were centered around grape varieties that were strange or not very common, but I then also thought about wines that tasted different than expected. I had a couple of ideas and we ended up bringing a bottle of German Riesling (what’s unexpected about this, you may ask, but bear with me! 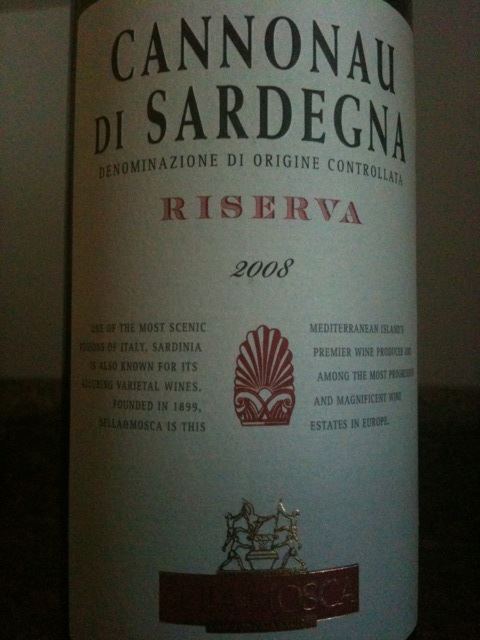 ), a bottle of the Ruchè we had tried with Nina’s birthday burgers and a Cannonau di Sardegna, both Italian reds. 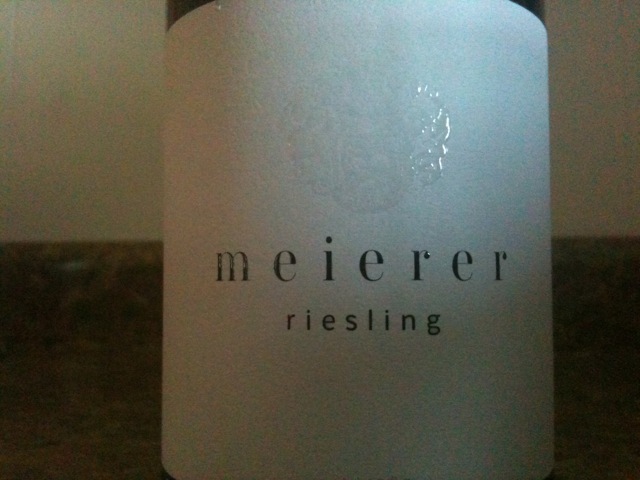 We started with the 2011 Meierer Riesling WTF!? 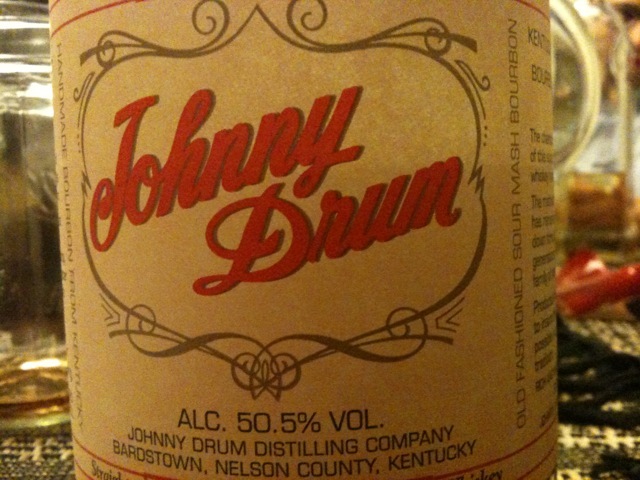 (12% ABV, limited to 300 bottles made). When Nina and I first tried this wine at the winery in the summer of 2012, it was definitely one of the weirdest Rieslings we ever had, hence the name… Matthias, the winemaker, had decided to produce this wine in the way one would usually make a Pinot Noir: He let the must sit on the skins and stems for a couple of days. This really changed the nose and palate of this wine making it intense and I would never have guessed it was a Riesling if I had not known. I was eager to share this wine with the group, so we made it our apéritif. The wine showed itself in a slightly darker yellow, pretty much pee color. The nose showed acidity, some sour apple, I got hints of vanilla and coconut, but there seemed to be a decisive lack of fruit in the nose. 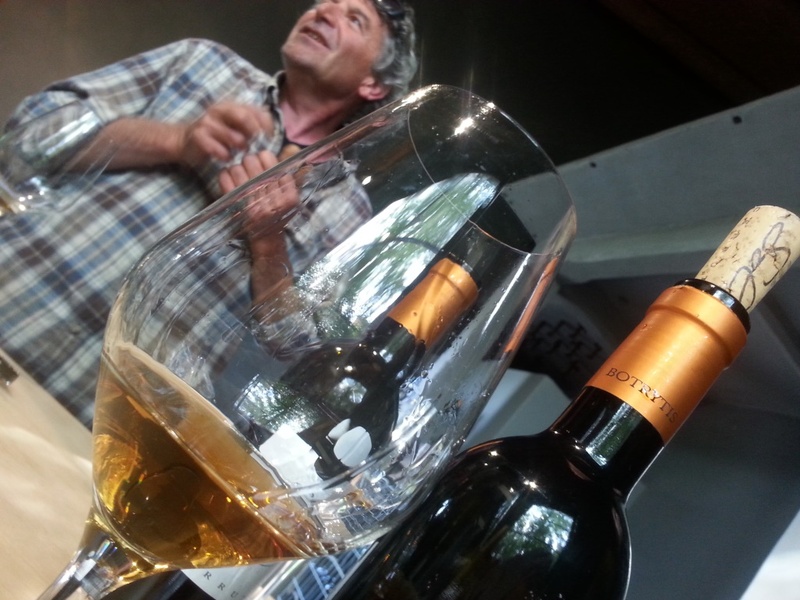 The palate was herbal and what I would call branch-y, with healthy acidity and some apple aromas. Most in the group remarked on that it reminded them of a Chardonnay. The finish was long, with some bitterness. I like the experiment itself, I am not sure I would want to drink this wine all the time…but how could one, with only 300 bottles made? 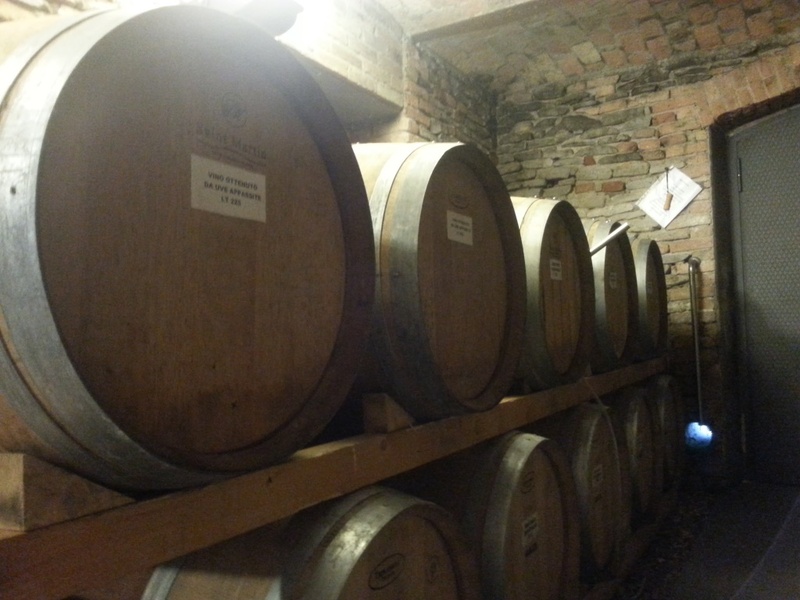 (I wrote in depth about the winery here). And it definitely fit the tasting’s motto. The first course of the meal was an arugula salad with cranberries, walnuts and blue cheese. 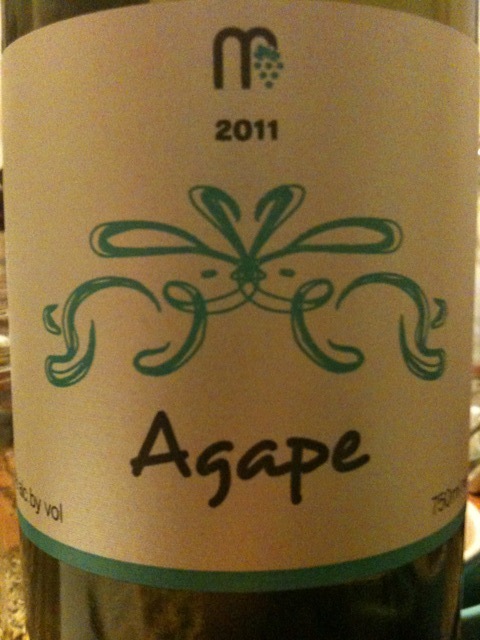 We paired it with a 2011 Barafakas Winery Agape, a Greek white wine blend from the Peloponnese peninsula. 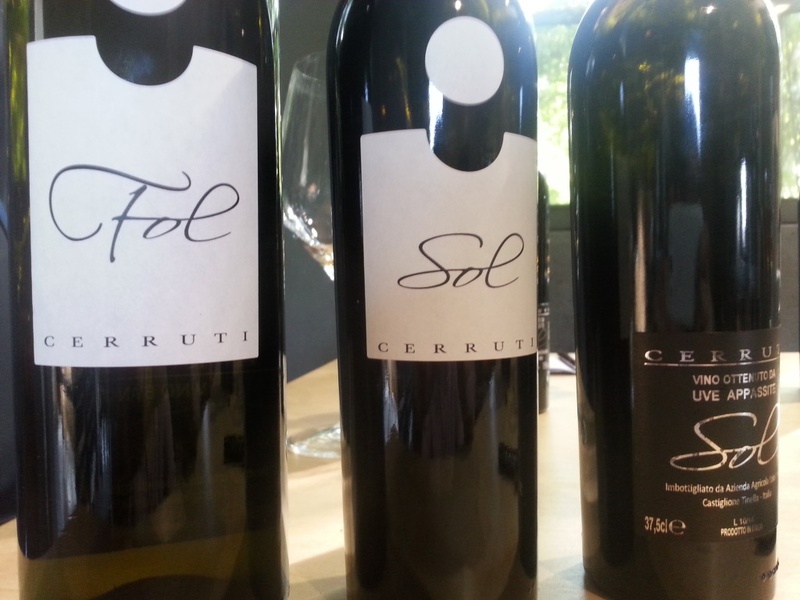 The wine is made with 50% Roditis grapes and 50% Savatiano grapes and had 12.5% ABV. 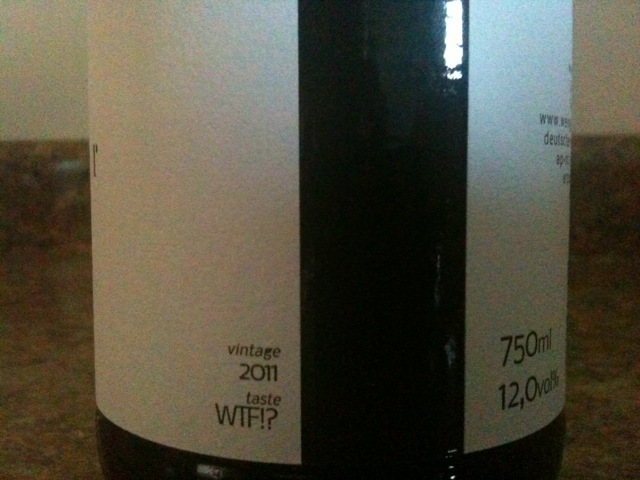 The label promised strong acidity as well as citrus, banana and peach aromas. It poured in a light yellow color and had a very subdued nose. I really was not able to discern anything in the nose. The flavor profile on the palate showed a dry, slightly buttery wine with virtually no acidity or fruit aromas, some bitterness and a decent amount of heft to it. Nina said it seemed syrupy to her in texture (not sugar), I am not sure I got that. All in all, a bit boring. But then again, a lot of Southern European dry whites give me that impression. That said, it paired exceptionally well with the salad. The acidity in the dressing, the blue cheese and the nuttiness of the arugula made for good companions. 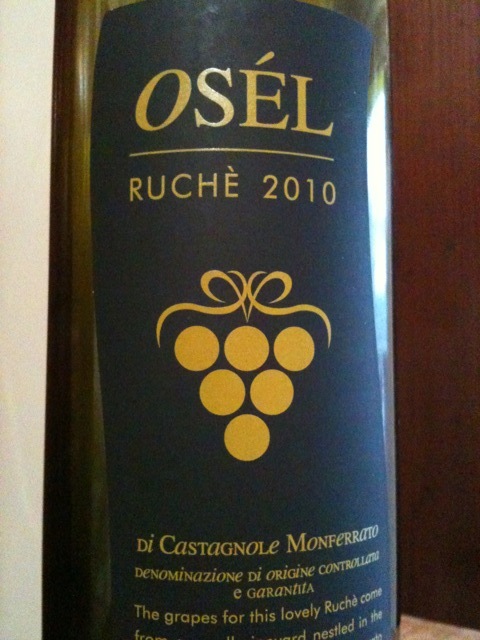 For the pasta course, a classical dish of orechiette pasta and tomato-based ragù sauce, we first opened the 2010 Osél Ruchè di Castagnole Monferato that we had brought. My notes resembled the notes I made when we initially tried it in March, which is why I just repost them here: “It poured in a lighter red with some hints of brick. The nose was floral and perfumy with cherry and jammy notes. Rather enticing. The flavor profile of this light to medium bodied wine was very intense, with again cherry and some earthy aromas. There was noticeable residual sugar, maybe a tad too sweet. It had a peppery and slightly bitter finish that was rather short.” All in all, it seemed fruitier this time around, which I did not mind at all. Still a solid wine. We then opened a NV Accattoli Lacrima di Morro d’Alba DOC, an Italian red wine made from 100% Lacrima grapes, an ancient and rare grape variety. The wine had 12.5% ABV (notice a theme here?) and poured in a very dark ruby red. 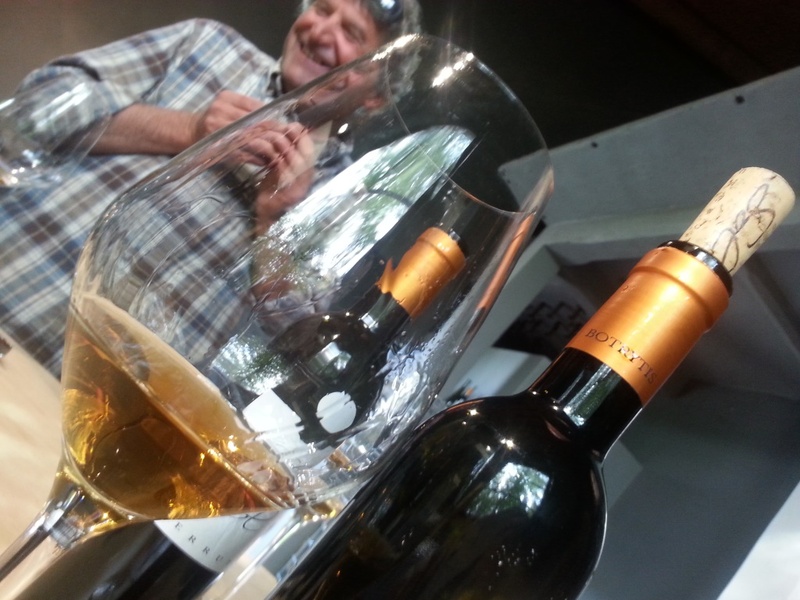 The nose was great, incredibly floral: violets and lavender and other floral aromas. It smelled a bit like an old grandma, but in a good way, if that makes any sense…On the palate, the wine was medium-bodied and soooo silky. That was the first thing I noticed: I really loved the texture of the wine. 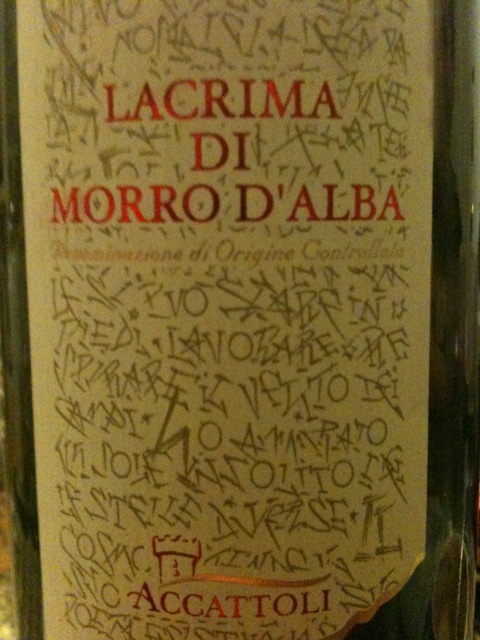 There was some cherry, and some smokiness to it, but the dominating factor was its black currant and blackberry aromas. Incredible. If you ever had black currant juice (I have, they sell it in Germany and it is AWESOME with sparkling water), you know what I am talking about. Just a wonderful currant, cassis bomb. There were hardly any tannins in this wine, and the finish was quite short. This was seriously yummy. And it paired well with the homemade dark chocolate ice cream. The fruitiness was great and the lack of tannins also helped when pairing it with the ice cream. We finished the night with a glass of small batch Bourbon that our host, a total Bourbon aficionado, pulled from the kitchen closet. It was delicious and a great finish for another awesome tasting night. We’ll try to work another one into the time before we head out for our big trip this year, and I already cannot wait. 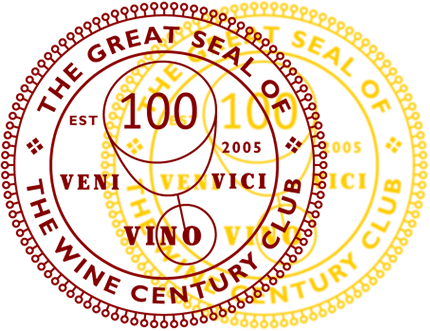 Vermouth is a fortified wine that is flavored with various ingredients like roots, barks, spices and seeds. It was first commercialized in Northern Italy, Turin to be exact, in the 18th century, but its roots go way back. It was first used as a medical drink and later became a key ingredient in cocktails, hence the name of the ubiquitous martini. Apparently (I am reading this up in various sources), Vermouth is made from rather neutral tasting grapes that are fermented to wine, to which further alcohol is added along with each producer’s secret set of ingredients. It comes in usually two styles, dry or sweet. Most people know it as dry, the sweet versions have sugar added to them after they have been fortified. Vermouth has a rather bitter taste to it, which makes it a great ingredient in cocktails. France and Italy are the main producers. Martini & Rossi, the company of which I buy my Vermouth, started its operations in the mid-19th century in Turin. Its logo was first introduced in 1929 (I really, really love the logo) and merged with the rum conglomerate Bacardi in 1993. Some of you might have noticed that Martini is offering several different bottles of its Vermouth in stores. One usually finds the Extra dry Martini in a green bottle, the Martini Rosso, a red version vermouth, a Martini Rosato, a pinkish, sweet version that tastes like Christmas and the one I am talking about right now, Martini Bianco, their sweet white vermouth. I fell in love with this drink a long time ago. I don’t enjoy sparkling wine very much, a classic starter in Germany, so this was a really great alternative. To me, it is the perfect apéritif on a hot day because it provides freshness, some sweetness (which by now pretty much everyone knows I love) and has an appetizing bitterness to it that makes your mouth water. I started from the welcome combination of sweet and bitter but it definitely needed an acidic kick to help. So I added a slice of lemon peel and the juice of between a third and half a lemon. I am not shy with the lemon juice because I want the acidity to really kick in. I serve it on the rocks, because the melting ice nicely dilutes what would usually be too sweet a drink. Keep the bottle in the freezer to ensure it pours ice cold and you have an awesome starter for a great evening. The bottles retail for between $6 and $9, I tend to buy them when I see them on sale…Nina has fallen in love with this drink as well, and I am sometimes surprised how fast we can go through a bottle…But even if you don’t guzzle it like us, it keeps forever in the fridge, too. 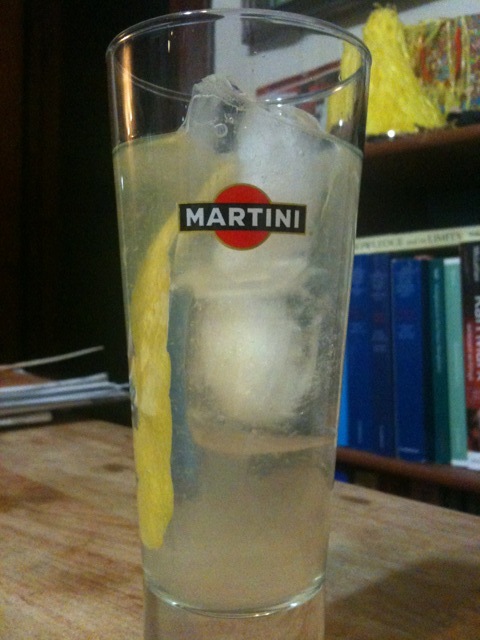 Martini my way: al limone. Fill a glass with two to three ice cubes. Squeeze a third of a lemon over the ice. Throw in lemon peel. Pour the Martini Bianco over. Let sit for 5 minutes. Enjoy. Do you have a favorite apéritif? Care to share?